In my last post, I complained about “vague and misleading statements” made by polar bear specialists and conservation advocates. Here’s a recent example of that phenomena, from veteran polar bear biologist Ian Stirling. 1. Recent (November 2015) release of the IUCN Red List assessment of polar bears (Wiig et al. 2015), based on a more rigorous statistical model than the flawed method Stirling and his colleagues employed, gives only a 70% chance of a 30% decline in polar bear numbers by 2050. Not half. 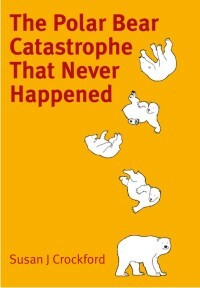 It also included no discussion of impending extinction by 2100 and put the global population at 22,000-31,000 bears. 2. Evidence that sea ice extent has changed in the past – that both rapid and dramatic changes in sea ice extent (more than now as well as less than now) have occurred several times since polar bears arose as a species (Cronin and Cronin 2015). 3. Evidence from the most recent study on Western Hudson Bay bears (Lunn et al. 2014) which confirmed polar bear numbers have been stable since 2004 with no trend in either freeze-up or break-up dates since 2001 (see graph modified from their paper below) – which means conditions for WHB polar bears are not getting ever-worse, as Stirling implies. 4. Lack of evidence for ever-declining body condition of WHB females, smaller litter sizes, and lower survival of cubs: Stirling and his cheerleaders keep repeating these statements but there is nothing to back them up. 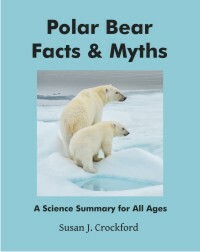 There has been no data published on these aspects of polar bear condition and survival since at least 2004, even though mark recapture work has been done on the bears since then. The researchers simply haven’t published the results. 5. Evidence from the Chukchi Sea that the recent long open-water seasons resulted in polar bears being in better physical condition and reproducing better than in the 1980s, when the open-water season was shorter (Crockford 2015). Less summer sea ice was actually better for these polar bears (Rode and Regehr 2010; Rode et al. 2014), not worse as Stirling and colleagues had firmly believed. It turned out they were wrong. 6. Failure to mention that over the last 50 years, thick sea ice in spring has had the most profoundly devastating impact on polar bear population numbers and cub survival (Stirling 2002; Crockford 2015). This is an especially egregious oversight, since Stirling himself was involved in much of this research. The same phenomenon repeated itself in the early 1980s, 1990s and 2000s, with the events of 1974-76 described as similar to 2004-2006. Yet, after one survey showed no significant decline as a result of the 2004-2006 thick-ice incident (Regehr et al. 2006), a newly-devised model (Bromaghin et al. 2015) estimated that the population actually declined by 25-50% – and was the largest documented decline recorded for a polar bear subpopulation (with the assumption that the 1974-1976 event was likely similar). That’s two declines of 25-50% within 30 years in the same general region – both due to thicker-than-usual sea ice in spring. Reduced sea ice in summer has not had anything like this effect on polar bears in any region – not even in Western Hudson Bay, which saw a 22% decline prior to 2004 that was claimed to have been caused by early ice breakup and predicted to continue (Crockford 2015; Unger 2012), but it didn’t. Yet, despite these scientific developments, Stirling has not changed his tune. In what way is this “purely about the science”? Bromaghin, J.F., McDonald, T.L., Stirling, I., Derocher, A.E., Richardson, E.S., Rehehr, E.V., Douglas, D.C., Durner, G.M., Atwood, T. and Amstrup, S.C. 2015. Polar bear population dynamics in the southern Beaufort Sea during a period of sea ice decline. Ecological Applications 25(3):634-651. http://www.esajournals.org/doi/abs/10.1890/14-1129.1 Open access. Crockford, S.J. 2015. “The Arctic Fallacy: sea ice stability and the polar bear.” GWPF Briefing 16. The Global Warming Policy Foundation, London. Pdf here. Regehr, E.V., Amstrup, S.C., and Stirling, I. 2006. Polar bear population status in the Southern Beaufort Sea. US Geological Survey Open-File Report 2006-1337. Pdf here. 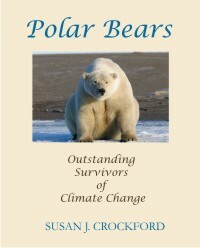 This entry was posted in Advocacy, Conservation Status, Population, Sea ice habitat and tagged Beaufort Sea, breakup, climate change, exaggeration, facts, fearmongering, freeze-up, IUCN, myths, polar bear, Red list, science, sea ice, starving, Stirling, thick spring ice, threatened, western hudson bay. Bookmark the permalink.